Universal car charger with double USB socket, can charge up to two devices simultaneously. 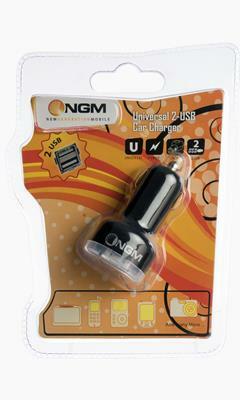 The 1,5A exit ensures a maximum speed charge to all NGM devices and other compatible devices. 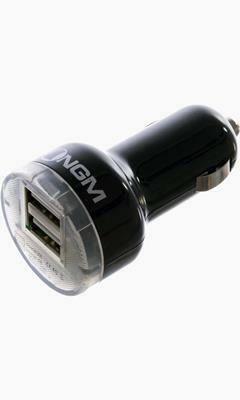 The ergonomic design makes this car charger an essential accessory for those who are looking for the maximum comfort. USB cable not included (sold separately).